When it comes to adventurous sports there are many from which you can choose. There are many right from skiing, to Para-gliding, to river rafting to sledging. But one sport which most of us can get into and apart from enjoying the thrilling experience can also rejuvenate our health that is body and mind is with the help of cycling. Yes! It is true, being one of the simplest form of game this is usually known by one and all, however, there are some instructions that you did have to follow and be careful around the turns especially when we talk about a special kind of cycling which is the mountain cycling. One among the ground games that you can get involved and also feel adventurous about, mountain cycling can also help you in getting rid of the lethargic you, and explore the active you, which among all the stress and anxiety get buried somewhere deep down. • Trail Riding – It is when you take your bike and go out riding outdoors, especially among the natural trails as well as the roads, and you do that on your mountain bike. • Cross Country – Being one of the most common disciplines of mountain cycling, and is performed in a terrain. Usually the path comprises of forests and also single tracks. • All Mountains – This is when the bikers moves through almost any and every pasture be it elevated or flat. Manali in India is considered to be one of the best places when it comes to any kind of adventurous sports and that also includes mountain cycling. 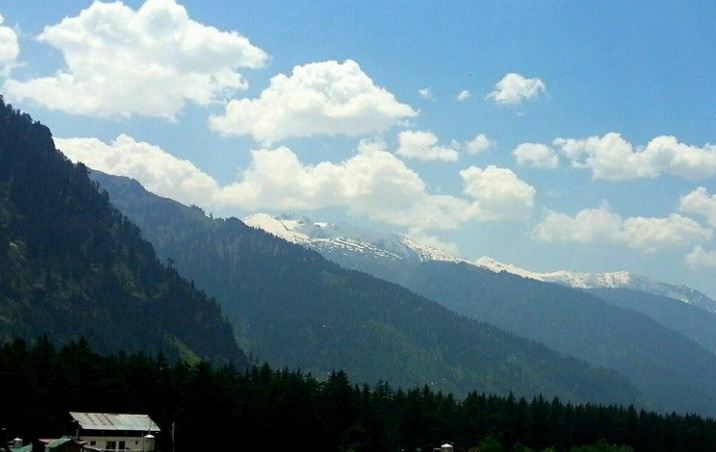 Be it for snowfall, or for the scenic beauty, you ask for it and you will definitely get it in Manali. Apart from mountain cycling you will also get to ski a lot in Manali, but be sure that your booking of Manali are done during the winters, otherwise you may be duped of snow and there goes your opportunity to ski as well. Though one thing to keep in your mind is that winters in Manali is considered to be the peak season, and this is why the tariff that is quoted by the hotels and lodges is considerably more as compared to when you are there in a not so very peak season. The peak season when you can actually enjoy all the sports, this being the fact due to the mountain ranges being covered with snow is during the month of December to February. Other than that, if you are willing to experience the snowy mountains then you can also look for booking your slot during or in between the months of October and November, this being one of best times too. When it comes to the sports you can get involved in, especially when it comes to the snow sports then places like Rohtang Pass and Gulaba, Soland Valley and Snow Point would be the best of places where you can be in. Along with that if you are one of the snow lookers, then let us advise you that even the town of Manali too experiences snowfall, which can go from being too light to too heavy at times too. So if you are one among those lucky mascots, then the snow will surely touch the windows of your room, for you to get a close view, while you may be sipping a hot cup of coffee there. This entry was posted in Manali and tagged cycling in manali. Bookmark the permalink.